is pleased to announce that Mr. David Andrew Lynch of the North Central Texas College Chapter of the Sociedad Honoraria de la Lengua Española (SHLE) is our inaugural Juan Manuel Sampere Scholarship winner for the SHLE Undergraduate Study Abroad Award Program. Mr. Lynch will spend four weeks studying abroad in Costa Rica in July 2019 with Estudio Sampere. Charter applications accepted all year long! to provide Institutional Members of Community Colleges for International Development a $10 discount on the charter fee when applying for a new chapter of La Sociedad Honoraria de la Lengua Española, Sigma Delta Pi’s Spanish honor society for 2-yr colleges. will enjoy a 20% discount on all Internships Colombia fees: $380 US for Regular Package; $600 US for Premium Package (prices for the year 2018). Internships Colombia (IC) will work with each registered Sigma Delta Pi and SHLE member to explore possibilities for receiving academic university credit via IC internships. Sigma Delta Pi’s Spanish honor society for 2-yr colleges. 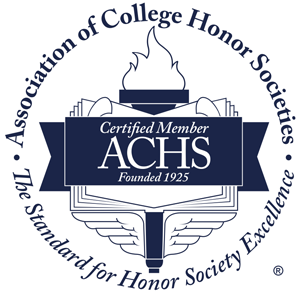 has been approved as the inaugural chapter of La Sociedad Honoraria de la Lengua Española (Spanish honor society for 2-yr colleges). More related details available later this year. The Executive Council of Sigma Delta Pi has approved the creation of a new program: the Honorary Society of the Spanish Language/La Sociedad Honoraria de la Lengua Española for 2-year colleges. This new program will be launched within the next 12-18 months, and will eventually have its own website at http://www.sociedadhonoraria.org. See SHLE By-laws here.